Phoenix Market City (Phoenix mall) is a happening place in Chennai not only as a shopping destination but also as the location for trying out different cuisines. 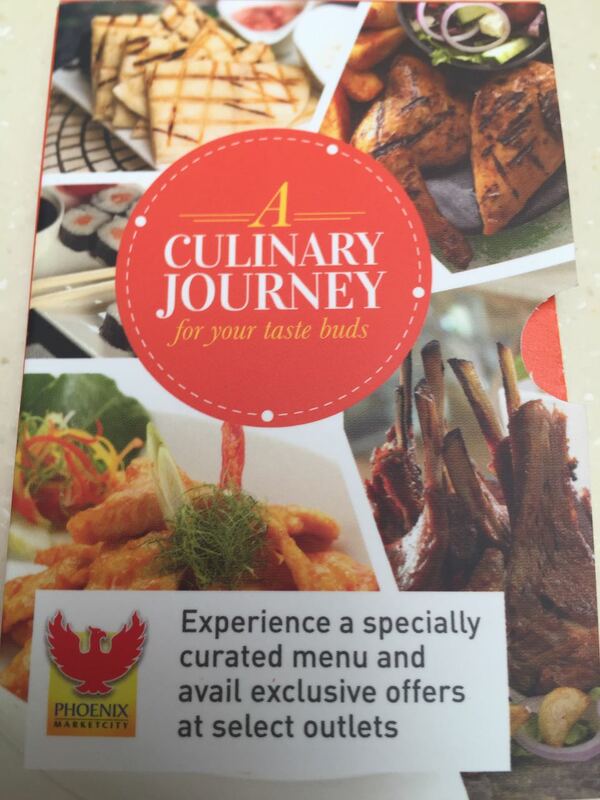 Currently Phoenix mall is hosting a new one of a kind experience with Culinary Quest, a festival with specific menu and host of discounts/offers for its customers from leading restaurants such as Nandos, Rajdhani, Punjab Grill, Jonah’s Bistro, ID, Noodle King and Spaghetti Kitchen. The festival is on till Dec 4th. We along with popular food bloggers from Chennai had the opportunity to check out the vegetarian options (Many non-vegetarian dishes too but we cover only vegetarian food in our blog). Get the offers booklet for the festival carrying the respective discounts with 2 complimentary parking passes. Now to our experience on the food at the participating outlets, we tasted out the vegetarian dishes at the first five restaurants – Nandos, Rajdhani, Punjab Grill, Jonah’s Bistro, and ID. 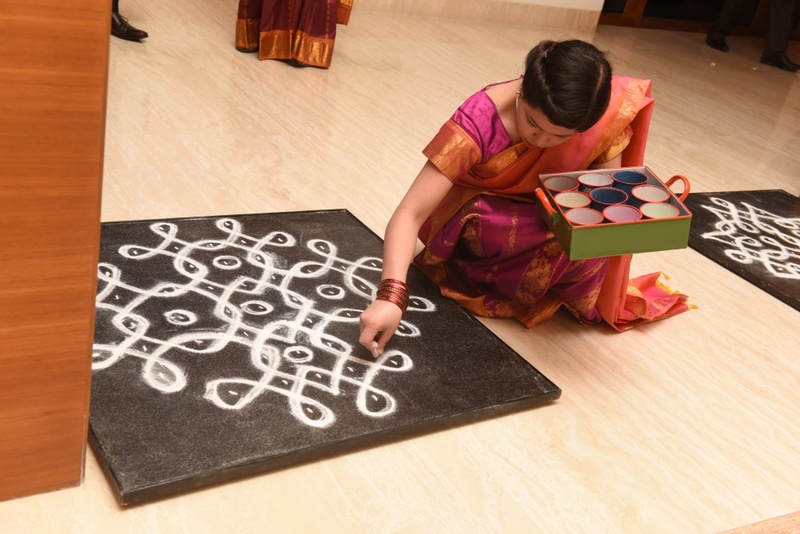 Beyond Madras is a nice initiative by Park Hyatt to bring in Grand ma’s kitchen onto your table. It is quite evident that many authentic recipes of our grand mothers have been lost in time. As quite evident from our parents and grandparents, knowledge transfer has reduced as we moved from one generation and another. Who would not want to have a taste of food specialized by our grandmothers prepared the same way in a traditional ambiance at a 5 star hotel? Here is our experience of ‘Grand Ma’s Kitchen’ by Beyond Madras restaurant in Park Hyatt. The unforgettable aroma of India is not just the heavy scent of jasmine and roses, it is also the fragrance of spices so important to Indian cooking especially to preparing curry. Broadly speaking, meat dishes are more common in the North. Mughlai cuisine is rich creamy, deliciously spiced and liberally sprinkled with nuts and saffron.